ABC30 — California has been granted a reprieve from rules that could have prevented millions of Californians from flying anywhere without a passport or other federally accepted ID. The Transportation Security Administration told Action News on Wednesday, "According to (the Department of Homeland Security), California's extension has been extended through April 1, 2019, to allow sufficient time to complete the review of their REAL ID compliance certification." 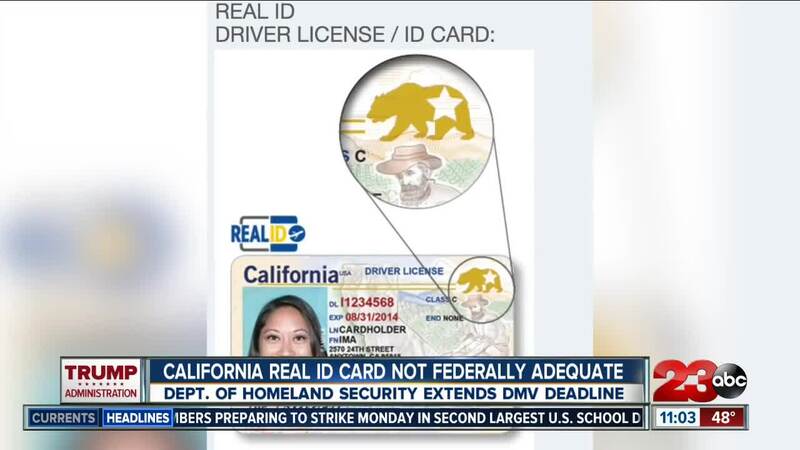 California's previous extension for its Real ID program was set to expire on Thursday, January 10. If the extension had expired, all California driver's licenses and ID cards could have been declared invalid for domestic air travel. Because of the inadequacies, those who have received those cards will have to submit additional documentation to validate their IDs. Prior to today's extension, Assemblymember Vince Fong issued a statement alongside Assemblymember Jim Patterson of Fresno. Fong has been a longtime critic of the DMV and criticized their request for millions more for staffing in his statement. “We have yet to see a detailed plan on what is being done to address the growing structural problems at the DMV. More bureaucracy cannot be the only answer when we have organizations and innovative technologies that are available to assist in providing needed DMV services to Californians,” said Assemblymember Vince Fong and Assemblymember Jim Patterson.